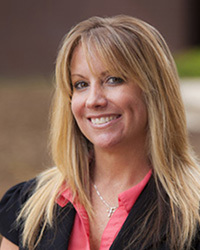 Dr. Shannon Groff is a contributing faculty member for the University of St. Augustine Online programs. She currently teaches in the the Post-Professional programs. Prior to joining the USA, Dr. Groff continues to teach full-time for Florida State College at Jacksonville. Dr. Groff has worked in higher education for over thirteen years of which she has experience in educational theory, course development and design, e-learning, quality assurance, student engagement, curriculum design, faculty training and development, and commitment to success. Dr. Groff adheres to a belief in education that the key to successful motivation of learners is in building relationships while embracing educational theories in order to create positive learning environments. She holds a MAE from the University of North Florida where she specialized in English and a PhD from Northcentral University where she focused on Educational Technology and e-Learning. The focus of Dr. Groff’s research was to examine how audio feedback and innovation in online education generates motivation in adult learners and how that motivation along with technological advances accessible in education relates to success and retention in higher education.